Perceptions of the beliefs of scientists about global warming may be a cause of people’s personal beliefs, especially among individuals who trust scientists. One might imagine that if scientists are perceived to agree about global warming in large numbers, this will encourage trusting individuals to adopt green opinions. WHAT DO AMERICANS BELIEVE ABOUT AGREEMENT AMONG SCIENTISTS? 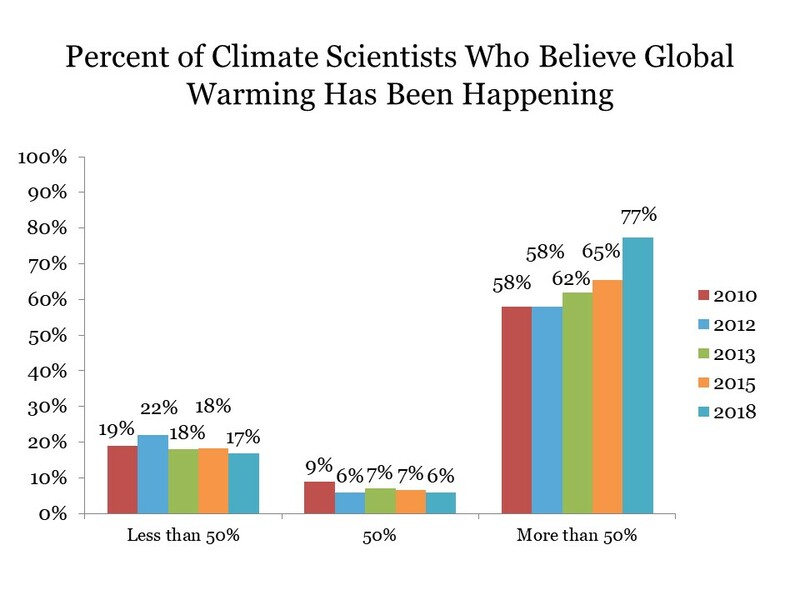 Growing numbers of Americans have expressed the belief that a majority of natural scientists believe that global warming has been happening. In 2010, 58% of Americans thought so, and in 2018, this proportion was at an all-time high: 77% (see the figure below). Question wording can be found here. 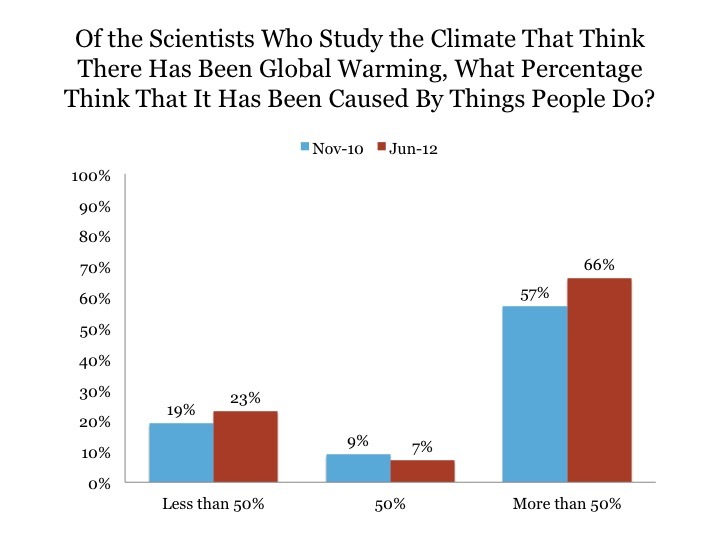 In 2012, two-thirds of Americans said that among the many scientists who believe global warming has been happening, a majority of them believe that warming has been caused mostly by human activity, up from 57 percent of respondents who held that opinion in 2010.